Millennials want to be respected. This may not seem controversial but it is the crux of difficult relations between Millennials and Gen X/Boomers in the workplace. My research conducted with Millennials who recently entered the workforce makes clear that they have expectations that they will be respected by their boss and if these expectations are violated, they will soon be looking for another job. What does respect mean to them? It means that their boss gives them opportunities for “voice;” that is, allowing Millennials to express their ideas and feel consulted which in turn makes them feel valued in the workplace. 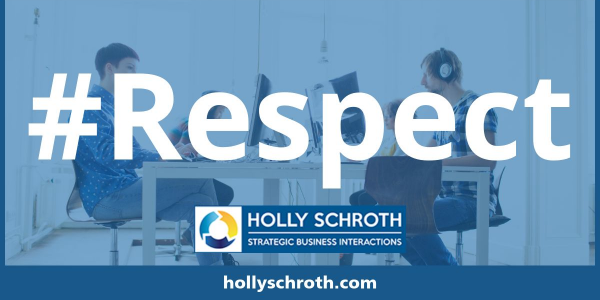 Millennials indicate that they initially respect the authority of the boss but will quickly lose that respect if the boss doesn’t show this respect back. This contrasts directly with the mindset of Boomers and Gen X’rs who were brought up to automatically respect and be obedient to authority. The benefits of “voice” have been well established in the field of procedural justice (See work by Lind and Tyler) as leading to greater workplace satisfaction and organizational citizenship behavior. Is what Millennials are asking for, feeling respected and valued in the workplace, unreasonable?